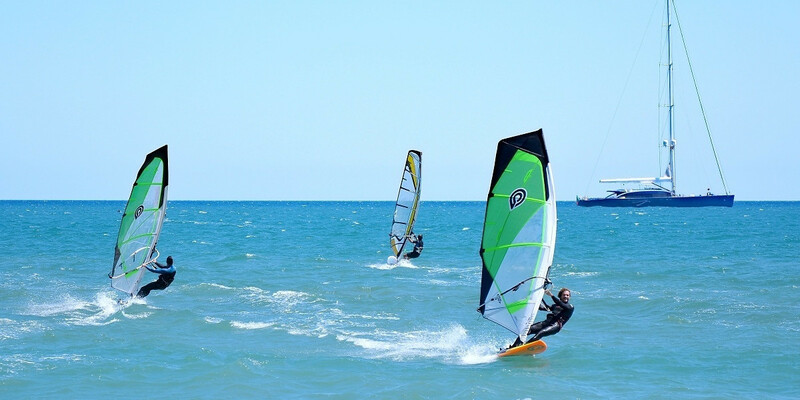 Catch the breeze in your sail and learn to windsurf in the best spot in Barcelona. Our school is open every day from March 1st to November 5th. Our 2-hour group lesson aimed at beginners starts twice a day at 10:00 am and 12:30 pm. Private lessons start at 3:00 pm. Group lessons are limited to 4 people. There are multiple ways to reach the beach. You can come by car, bus or even by bike. Please arrive at the school 20 minutes before the lesson starts. What to bring? Sunscreen, bathing suit, no hangover, and your smile. Customers also have access to campsite facilities which include car parking and showers. We also provide lockers for your personal belongings. Please ask us about rentals. You can cancel up to one day in advance with 100% reimbursement. We cannot reimburse late cancellations. In case of cancellation from our side for the reason of unfavorable weather conditions including waves, we will agree on a different time or return your payment in full. Highway C-31 direction Castelldefels just after the airport. Inside Camping 3 Estrellas of Gavá. Access from the beach. BUS L94 or L95. 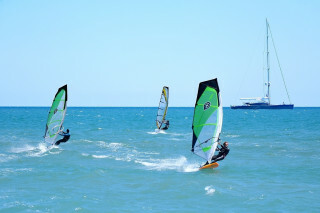 There’s nothing like the thrill of windsurfing over blue waters and under blue skies. 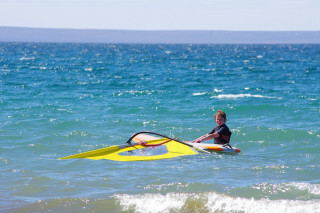 Learn this exciting sport or improve your skills in a fun and friendly atmosphere. We provide you with high-quality equipment and the necessary instructions according to your skill level. 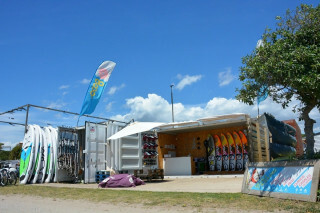 No matter if you are a beginner or an advanced windsurfer, we aim to help you gain new knowledge and to keep improving. Our 2-hour group lessons are aimed at beginners. We like to keep the groups small, so we only have up to 4 surfers per instructor, often even less. For advanced surfers we offer 1-hour private lessons to focus on the specific skills they prefer. 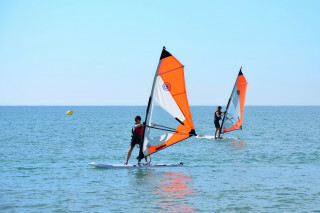 Our school is located on the perfect windsurfing beach right on the edge of the city. We are settled in the middle of Barcelona’s closest natural park, located just 20 minutes from city center. Despite being so close to the city, we are worlds away from the crowds. You can enjoy the space and freedom on the clear water instead of worrying about boat traffic. The spot is truly a natural oasis, surrounded by trees and a beautiful campsite. After the fun of surfing, you can simply relax and enjoy the beach, eat at one of the local restaurants, or try more sports at the site. Whichever you choose, you can easily spend your whole day here. Now grab your mast, boom, and sail and let’s go catch the wind!